Unmanned aerial vehicles have been around for decades, but they have achieved the greatest popularity in recent years with small commercial drones. The new so-called FPV (first person view) technology gave us a unique experience of flying and the advancement of GPS systems in drones opened a whole new world for passionate individuals. Of course, drones are not the only RC flying devices on the market, but their agile multi-rotors and their capability to take amazing photos and record stunning videos during flight made them the most popular. That’s why commercial drones are in great demand nowadays but have you ever wondered how to build a DIY drone from scratch? Today, there is a wide range of drones on the market, and they differ in size, design, and properties. You just need to visit some popular online stores, where the drones are being sold, and find some ready to use a model that best suits you according to its features and price. Most people do it. On the other side, people who like do it yourself projects, enjoy building these devices from scratch. If you also like this craft, you can buy drone kits and enjoy piecing them together like a Lego puzzle. However, the real challenge is to construct a drone from scratch without using a special kit. You would have to find the necessary pieces and imagine the drone structure yourself. So what do you say? Are you up for the task? Before you start making this DIY drone, you need to know which components are needed to build it; if you want it to fly, of course. Frame: there are two possibilities when it comes to a frame for your drone. 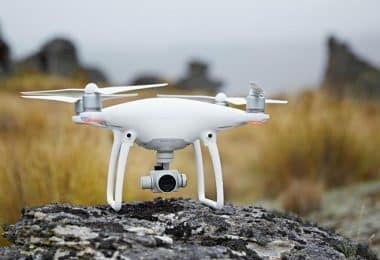 You can make it yourself or buy it in an online store, and for a wide choice of high-quality frames, we suggest checking out our article about best drone frames. If you decide to build it yourself, the project is not that difficult, but you’ll need some engineering knowledge and knowledge of the materials you are going to use. For instance, you can use metal (something light), plastic, or even wood slats. If you opt for a wooden frame, you’ll need a wood board which is about 2.5 cm thick. 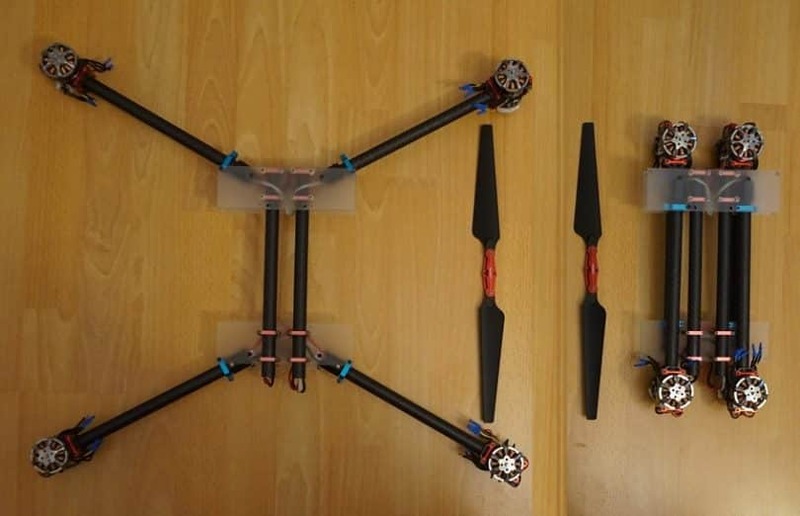 Motors: For an ordinary quad, you will need 4 motors in total, but an octocopter requires eight motors to fly. 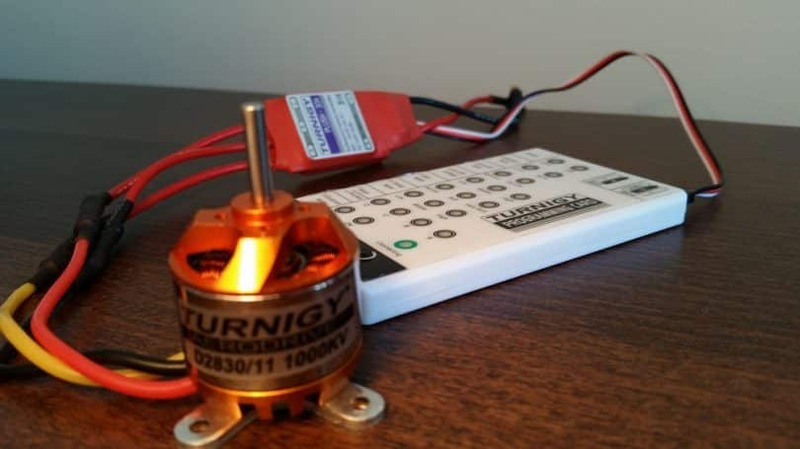 The recommendation is to use brushless motors – they are lighter on the battery and, unless you are an engineer who completely understands how a motor works, these pieces should be bought from a store. You can also get more familiar with them by reading our article about drone motors. ESCs or electronic speed control: these are also essential pieces of your drone as they are in charge of delivering power to the motors. Again, their number depends on the number of arms your drone is going to have. 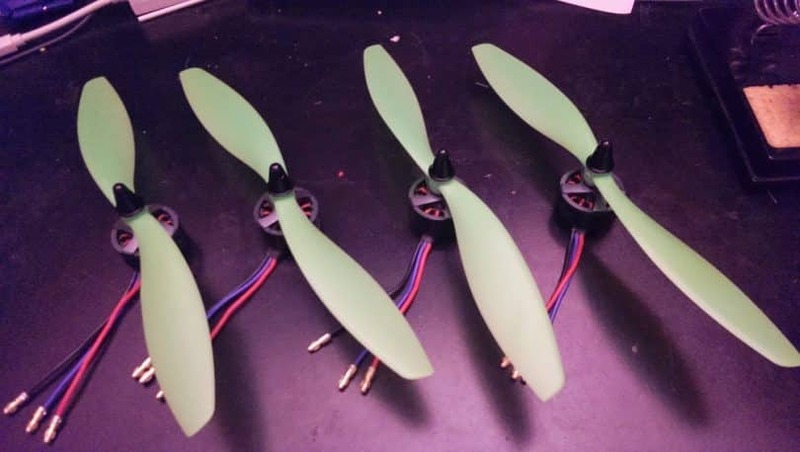 Propellers: When looking for the propellers, you must find the ones that match the frame of your drone. Pay attention to materials – you won’t find wooden propellers, but you must make sure the ones you choose are a good fit. Connectors: You will need 3.5 mm connectors to weld the motors and ESCs, as well as 4.5 mm connectors for the power distribution board. The power distribution board – this board connects the electronic speed controls to the battery. Batteries: When purchasing the batteries for your drone, you need to consider the capacity of a battery and its type. The most used batteries for this purpose are Li-Po batteries and their power differs. To have a much better insight on this topic, we strongly suggest checking out our article about drone batteries. Battery monitor: This is not an elementary item, but the monitor is quite useful in warning you when the batteries are close to finishing. This way you don’t risk having the drone remain out of juice in the air, over a pond. Mounting pad: It reduces the vibrations, and thus improves the flight. This one is very useful especially if you are trying to take pictures or videos with your DIY drone. Controller- This device shares the power and commands the motors at the same time. RC receiver: Of course that, if you have a transmitter (which is usually with you), you’ll also have a receiver mounted on the drone. Camera: If you want to take aerial photos and record the surroundings while flying your drone, you will need a camera. The best cameras are those that can take the quality 4K videos, but everyone will find one according to its needs. For the high-quality photos and videos, you’ll also need a gimbal for the camera. USB key: It is necessary to save the photos and videos. These are the most important parts that every drone must contain in order to work and fly. Aside from the above-mentioned parts, you will also need AWG silicone wires, a battery charger, Servo lead wire cables, zip ties, 3M command strips, thread locking compounds, etc. 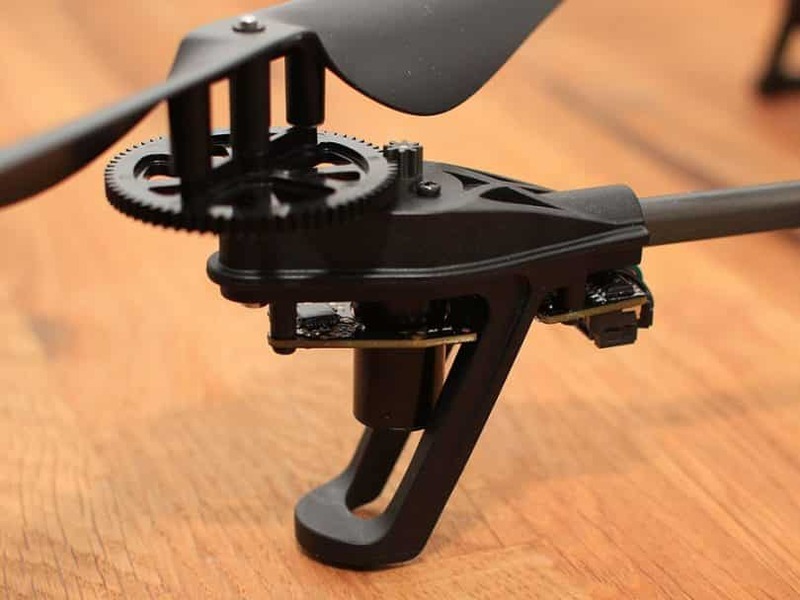 In addition to these components, you can also embed other accessories to your drone and make it more advanced. There are different types of drones, but people find quadcopters to be more efficient as they are easy to fly. That’s why we focused our effort in finding out how to build a quadcopter with pieces you buy separately. No matter what your drone is going to be, it must have a frame. So, the first task is to make a frame. For this purpose, you can use different materials, such as metal, plastic, or wood. If you select wood for the frame, find a wood board that is longer than 60 cm and about 25-30 mm thick. Cut up this board in such a way to get two laths which are 60cm long and 30mm wide. These two lengths are required to make a structure of your future quad. Crossing these two laths you’ll make the X frame. Also, you will need a wooden sheet in order to make and add a rectangular piece in the central part of this frame. Its size should be 6×15 cm, and about 2mm thick. Of course, you can use other dimensions if you like, but these will get you a pretty nice quad. To connect these parts, you will need nails and glue. In case you decide to go with metal or plastic, the dimensions are similar but the way you connect the laths together is going to be different. 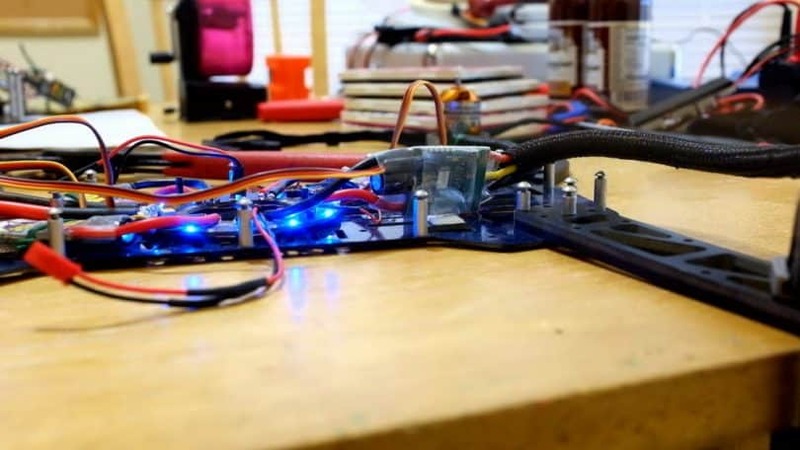 The ESCs (Electronic Speed Controllers), the motors, and the propellers are among the most important elements of a functional drone. So, you should get these components from an authorized store. 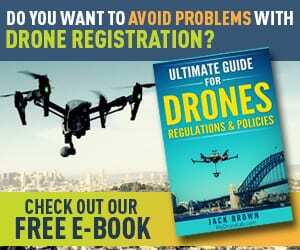 They must be in accordance with the size of your drone, so bare this in mind when buying them. The next thing you need to do is drill the holes in the frame for the motors, according to the distance between the screws holes on the motors. It would be good to make another hole that will allow the clip and shaft the motor to move freely. 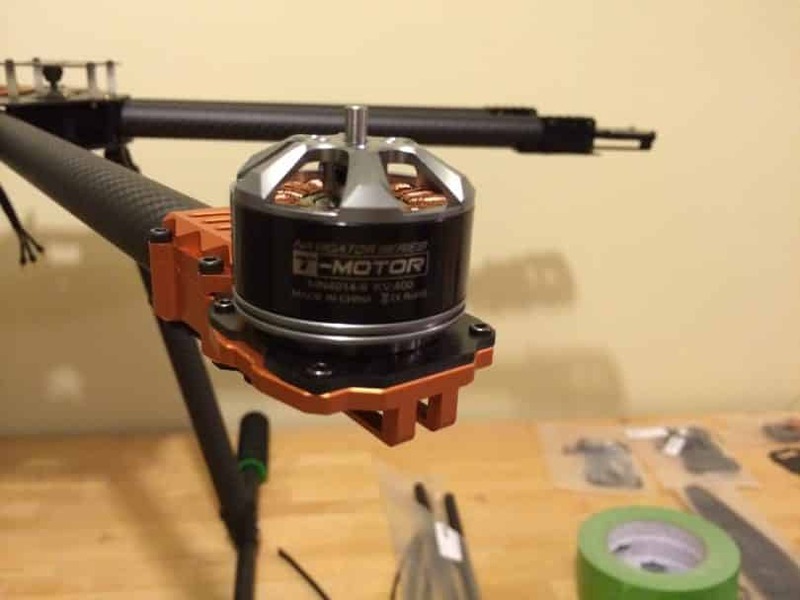 However, you may skip this action if the motors already came with mountings. Put the motor in the appropriate place and fix it to the frame using the screws and a screwdriver. After mounting the motors, you also have to mount the speed controllers. How will you do this? It is recommended to connect the speed controllers on the bottom side of the frame due to several reasons. Among others, it will “unload” the upper side of the drone where other components should be added. In order to fix it well to the frame, you need to use zip ties. This way, your ESCs are tied down and well secured while flying. This gear is an important part when landing your UAV because it significantly reduces the shock when the drone lands on a solid ground. It can be made in different ways, but you should be creative and make it in your own and unique way. Here’s one idea: find a metal pipe (about 6 inches in diameter) and cut off (with the appropriate tools) 4 rings that will be 1-2 cm thick. Of course, the size of these rings should be in accordance with the general size of your drone. You can use duct tape to fix these pieces to the frame. If you don’t like the metal pipe idea you can also use other materials that are flexible but strong, such as some new plastics. Every flying drone must have a control system. This electronic system allows a drone to be stable in the air while flying and processes all the shifts and changes in direction and wind. There are two options when it comes to this step. First, and the easier option, is to buy a ready-to-use controller. Second, you can make it yourself. DJI NAZA: DJI NAZA M V2 or DJI Naza Lite closed sources. ArduPilot: An expensive but a very good hardware for drone controllers with great performances. 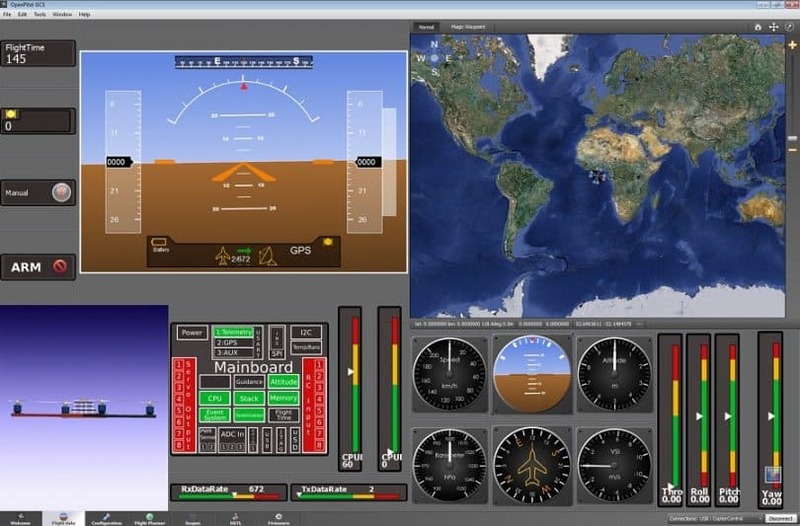 It features the automated flight modes. OpenPilot CC3D: This superb open-source flight project contains 6 channels and the MPU6000 alike. It is very easy to set up and install, and there is a wizard guide that leads you through the installation. Even better, this open project is now available on different sources on the web. NAZE32: Very flexible but a bit complicated to set up. 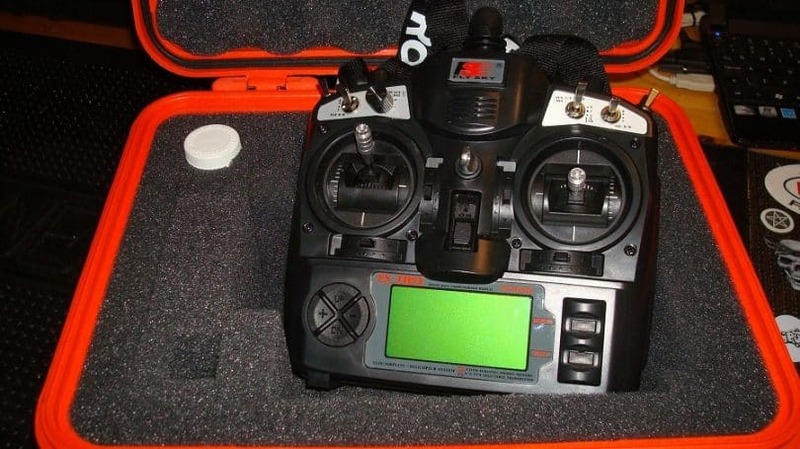 It has the advanced fliers which improve the control over your drone, but you must make sure you can actually set it up. KK2: This is one of the most used projects for this purpose since it is cheaper than most other sources of that ilk. It comes with LCD that is based on the advanced AVR controllers. Thus, you can set it up without using a computer. Also, it has the MPU6050 as a sensor, which allows you to write your firmware. However, KK2 requires manual tuning and it is not convenient for RC beginners. If you want to make a controller yourself, you should opt for one of these projects that best suits you. Find it on the Internet, and examine it in details. It is not easy at all to construct such a device, but this way, your drone will be more “do-it-yourself”. This remote control system is needed to control a drone. In addition to this system, you’ll also need a few channels for yaw, pitch, throttle, and roll, as well as the additional channels if you want to mount a camera control to your drone. Once you choose the particular flight controller, you need to mount it. For instance, you can place it on the top of the frame in a certain direction, but you need to make sure that all the components are fixed well before calibrating your drone. For this purpose, you can also use the aforementioned zip ties. 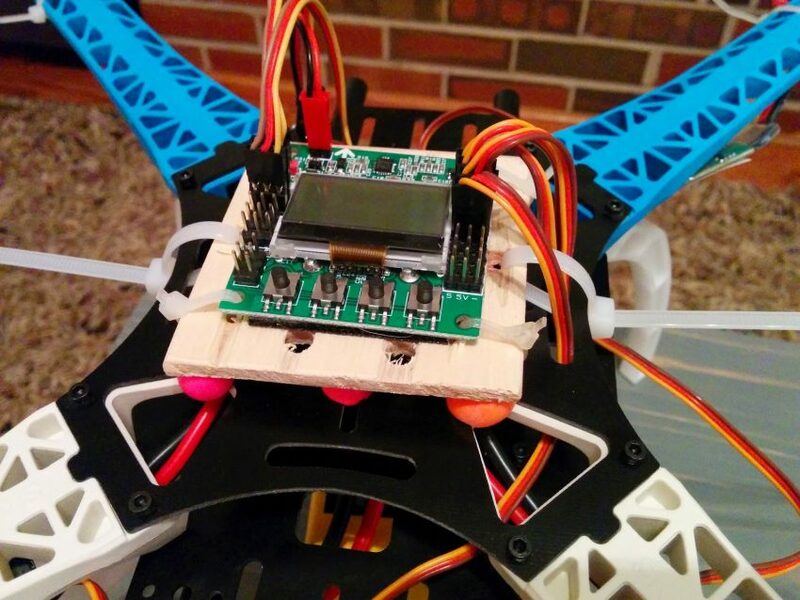 It is recommended to put a small piece of sponge on the underside of the flight controller because it absorbs and reduces the vibrations from the motors. Thus, your drone will be more stable while flying. 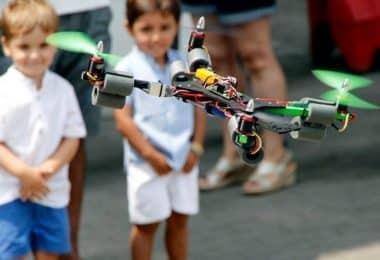 The next thing you have to do is to configure and connect the flight controller to the electronic speed controllers. Also, you have to connect it to the remote control. 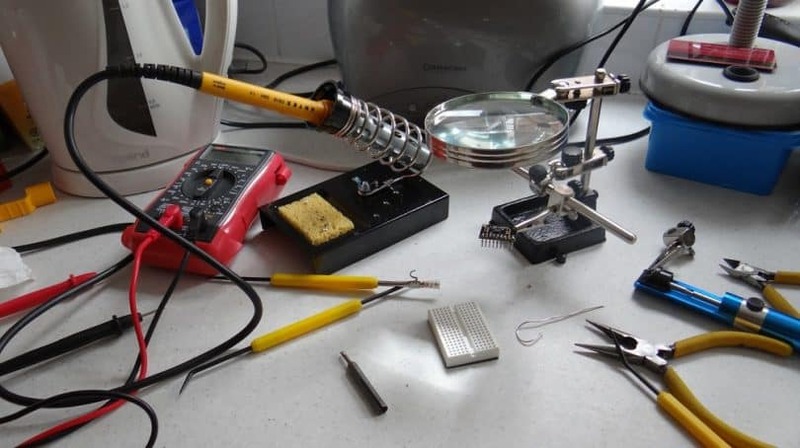 In order to see how to do this step, you will need to find an appropriate tutorial video on the web for the particular flight controller you have previously mounted. I wrote an ultimate guide on how to build a quadcopter with the Arduino Uno Controller. There is lots of info on assembling, wiring everything together, and programming science. Before you finally use your drone, you must be sure that everything works well. Therefore, you have to check out all the functions before the first flight. You can test the sensors as well as other components of your drone using the special OpenPilot GCS. To make sure that everything works well, you need to take off the props and make a small experiment with the remote control. 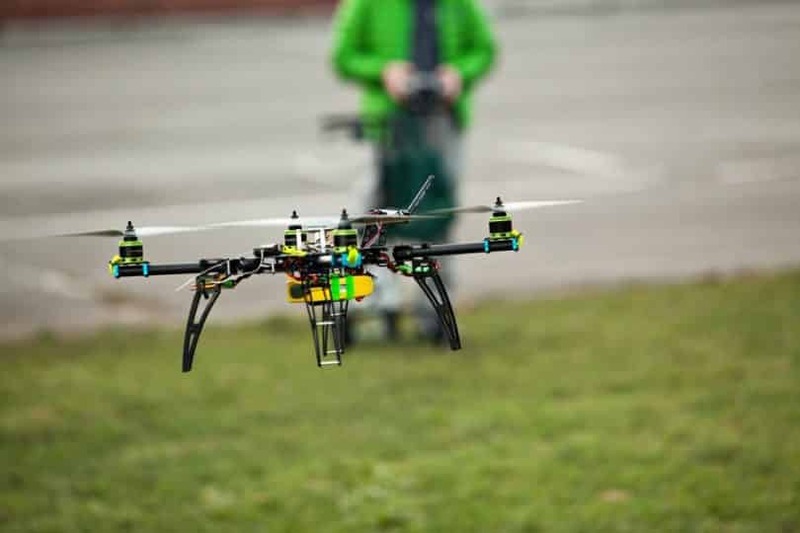 For this test, you should find a suitable place and try to move your drone within its control distance. Pay attention to the zip ties and cables whether they are connected well. When everything is okay, your drone is ready to fly! This is the last (and dear I say, most important) step. Before taking off, the battery must be well connected and all the components must be fixed in place. For the test flight, you need to choose a location carefully, since this aircraft can cause serious damages and can be damaged as well. Place your quad on the ground, put it into operation, take the flight controller, and get started with your first flight. 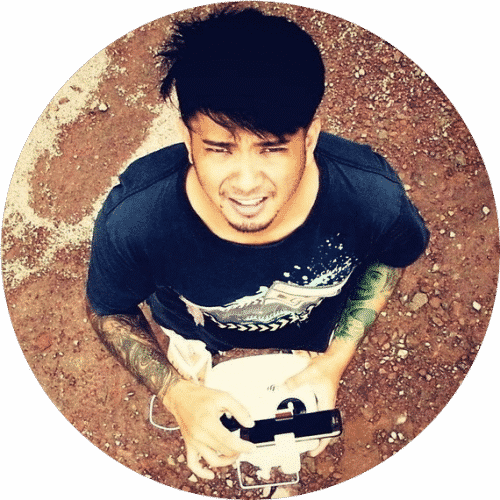 It’s recommended that you slowly throttle up your drone, and fly it at low altitude for the very first time. Thus, if it starts coming down out of control, the damage won’t be that significant. If the drone starts drifting in one direction, you have to use the trims in order to make the necessary flight correction. Also, you should try out different PID values to see how your drone works in various inputs until you get exactly what you want. In this article, we managed to briefly cover the pieces and the steps to make in order to build a drone from scratch, but you should consider learning more. What’s more, there are also many “intermediate steps” in addition to the basic steps we just described. So, what will be the final conclusion when it comes to the do-it-yourself unmanned aircraft? In any case, they could not be the serious competitors to the ready-to-use drones on the market, especially if they are made by the amateurs. This applies to both features and appearance. It is completely understandable. However, people who build the UAVs from scratch usually don’t want to compete with the commercial drones, they simply do it for pleasure. It is indescribable joy when you take off your do-it-yourself aircraft in the air! Among others, you need to consider the total costs for such a drone. It depends on the components you are going to use if you are considering additional accessories. Thus, the total costs for all this project range from $200 to $300 for an ordinary quadcopter. 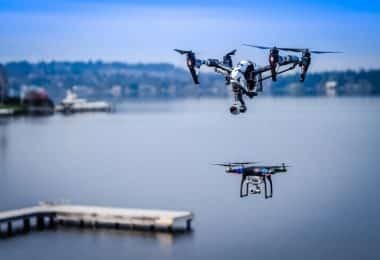 Aside from this amount, you also should consider the cost of the camera if you are going to use a drone for the aerial recording and taking the photos as well. If you check out the prices on the Amazon and other similar websites, you will see that you can buy an advanced drone that supports the cameras for this money. However, the satisfaction of having built your own drone does not have the price!